It took all seven innings to decide the winner of the Carbon Lady Dinos’ matchup with North Sanpete Thursday afternoon in the 3A Playoffs. Carbon did just enough to escape with the 15-14 win. North Sanpete jumped out to a quick 3-0 lead in the first inning against the Lady Dinos. Carbon scored a run in the second and then exploded in the third, scoring eight runs for the 9-4 lead. Each team continued to add runs every inning until the Hawks scored five in the sixth inning to cut the Dinos led to just one, 13-12. North Sanpete walked in two Dinos in the top of the seventh to give Carbon the 15-12 lead entering the last half inning of play. North Sanpete scored two runs in the bottom of the seventh before Brooke Moosman was able to get a Hawk hitter to fly out to left field to end the game. Carbon will take on Union on Friday at 2 p.m. in the 3A Quarterfinals. 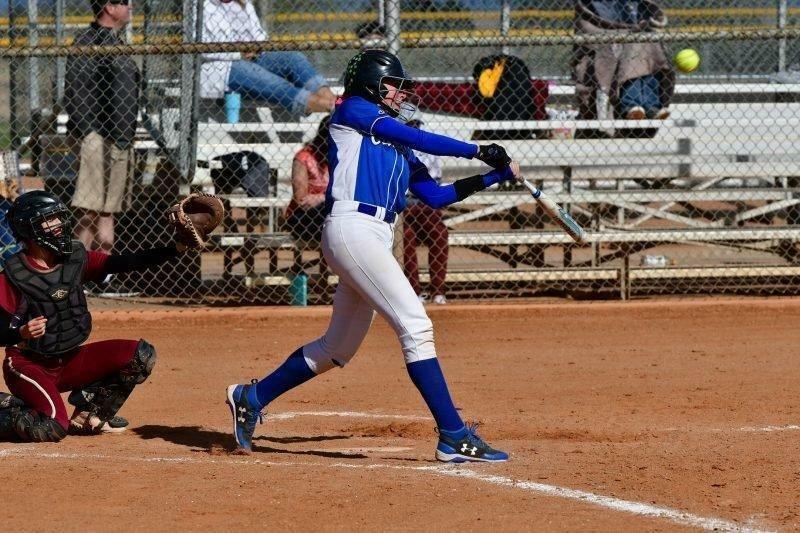 The Lady Dinos have yet to beat their Region 14 foe this season, having lost two region games to the Cougars during the regular season, 5-4 in eight innings back on March 27 and 15-3 on May 3.